When I first called Joshua Rubin, he was walking the fence of Tornillo, the child detention camp in Texas which at one time held close to 3,000 children. Called “unaccompanied minors,” the children there were separated from their guardians and held prisoner for weeks or months in the camp. Rubin stayed outside of the camp in an RV, at once bearing witness and staging a protest to draw the eyes of a nation to the children kept by Housing and Human Service in a giant cage. 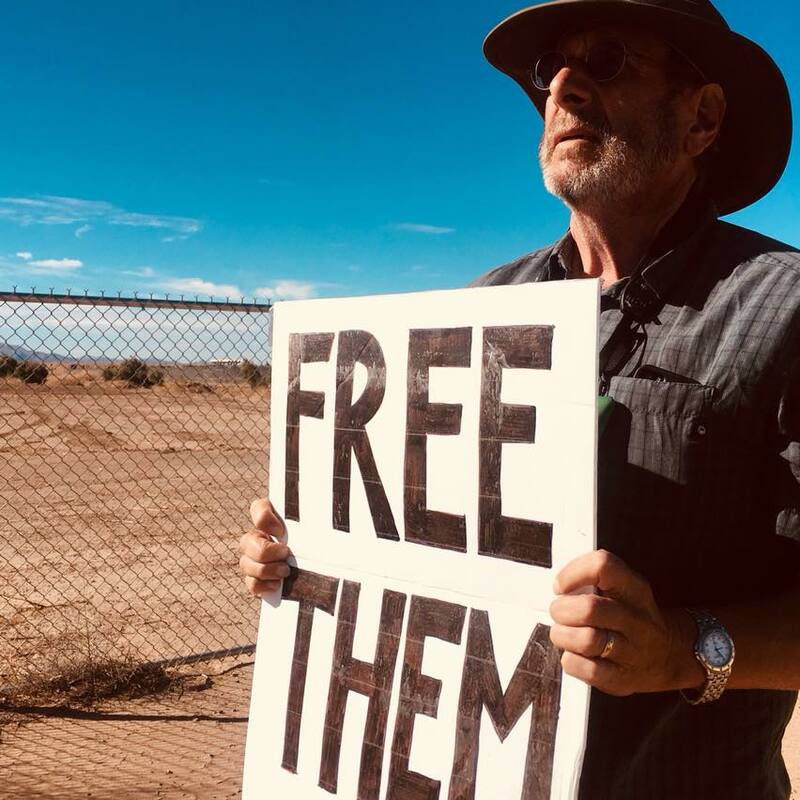 What is striking about Rubin’s protest, which lasted almost three months, is that Rubin admits he had never committed to an action as radical as his occupation at Tornillo. A software developer who has lived in Brooklyn for decades, Rubin speaks carefully, deliberately. He is a thin white man with a grey, cropped beard; he gardens with my parents at a community garden in Prospect Heights. His action is a powerful example of how one can effectively weaponize privilege against fascism. When I spoke to Rubin a second time, he was home in Brooklyn. He has spent the last few weeks meeting with friends and neighbors, and speaking to the press about Tornillo—its lessons, and what has yet to be done to combat ICE’s destructive agenda. 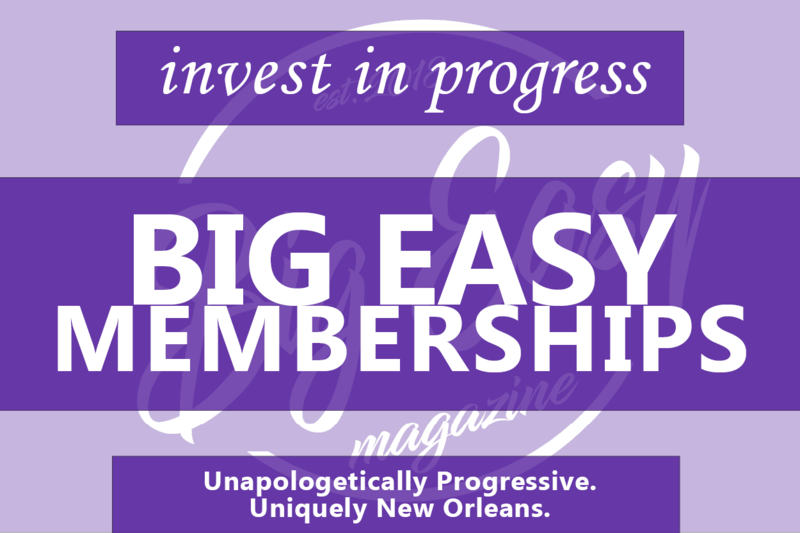 Last week, Rubin spoke to Big Easy Magazine about what became of Tornillo, the detention camp Homestead in Florida, and how people looking to help refugees can build power here and now. Can you talk a bit about what brought you to Tornillo… what brought you to the desert? Well I heard about the family separations were going on, and I went down to McAllen to protest at the detention center on Ursula road, where they were dividing the families, and I managed to get myself arrested there blocking the driveway, and during that same trip went out to El Paso for the June 30th nationwide protest against family separation. 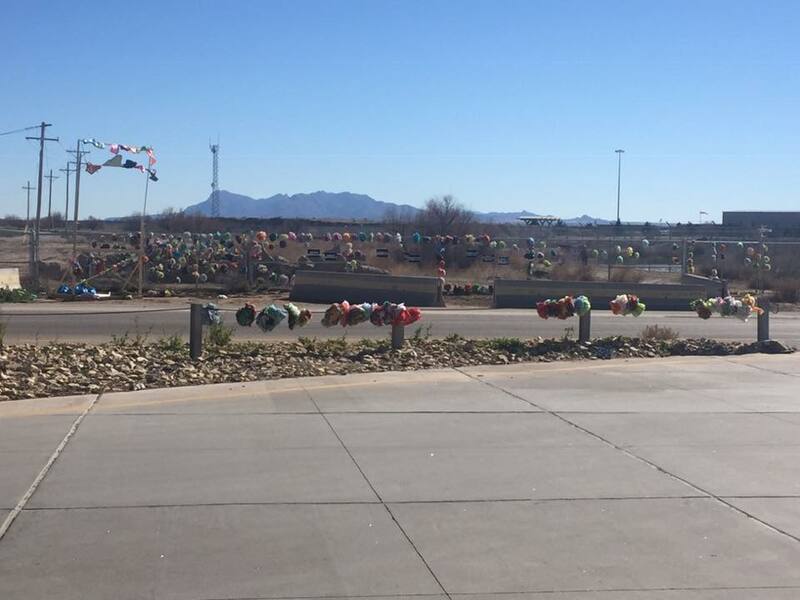 At the same time, I also stopped in at Tornillo and saw it, and didn’t know what to make of it… kind of a strange place, and at the same time, there were about 360 boys there, and everyone was wondering where they were keeping the girls. Then I went for another trip and got to El Paso, for a conference there called “Grito de las Fronteras”, and I got to know a few people at the Hope Border Institute, who were one of the hosts at the conference. I spent time with them there. I was at a meeting, a post mortem for one of the actions down there, I was sitting in a room with people, and a woman got up and said ‘people come down for a day and think that they’ve made a difference.’ So I thought well, I’m being talked about here, and I talked to people about what I might do if I came down and spent more time, in the way of protest. There’s always things to do in the way of helping people down there… taking care of people who have crossed the border, getting them fed… but I was interested more in the protest side and I started to think of what to do. I came up with the idea that I could go to Tornillo and just sit there outside and protest, but also observe what was going on… what was going in, what was going out, see if I could try and piece it together… it was a puzzle when I first was there, I didn’t really understand it. I could witness what was going on, tell people what I was seeing—see if by reporting on it, to draw the eyes of a larger group to the place. It was in danger of being forgotten. At the time that I got there it was reported that there were like 1200 kids inside, and then it dropped down a little bit, and then it started to build up. I got there by thinking, what am I gonna do, what would happen if I spent time at a place, and the one thing I was fairly sure I could do was sit at a place, and look, and report. And that’s what I did. So you rented the RV? I did, I rented it down there. I drove down from Brooklyn in my car. How did you manage water and power with no hookups? Well, for a little while the county let me use the electricity at the toll house there, they later decided that I had annoyed them enough that they wanted me to unplug. As far as water… an RV has a big tank, and people from El Paso that I knew brought me food and water and things like that. The RV had a generator, so as long as I kept the tank full, I had power, although I wanted to conserve, I didn’t like driving a big rig around. Luckily there I was in luck too, because a woman who was in the army was a truck driver, involved in the protest movement, and I would call her up and she would drive me over to an RV dumping station and we would dump out stuff and fill it up with propane, gasoline, and water. Were there organizations in El Paso that you worked with? Mainly the Hope Border Institute. That was an organization that I worked quite closely with. There were lots of people that came out on their own, from lots of different organizations and on their own. People came out and would spend part of their day with me, sitting around or standing around. It depends on what period of time we’re talking about. Early on, I would get up, very early in the morning, because the day shift would come in at 6 am, so the roaring of buses going by, before light, generally speaking. I’d get up, I’d hold my sign up for the shift coming in, the sign that said ‘Free them,” then I’d make myself some coffee, go out and hold my sign for the people who were coming in and out. There were the trucks going in and out—water trucks and service trucks, and employee vans, and all the things going in and out, including children. New children being brought into the children. And every day, family detainees that were being brought in by ICE, which is still going on, by the way, ICE processing is still going on at Tornillo. And where were the kids coming from, mainly? Had they been separated by their families at the border, or were they kids whose families were being deported? Well, I think it’s a mixture. They were called ‘unaccompanied minors’. And there were certainly some that came up unaccompanied, all kids came up with the idea that they were gonna join people up here. People didn’t leave and trek all the way up here thinking that they would just seek their fortune in the US—they had names that they came with. Now some kids came by themselves, but others came with people who were not identified as a legal guardian—like it could have been an aunt or a grandparent, or an older brother or sibling. And they were separated. So there were separations that were going on, even after separation ended officially. It was owing to strict interpretation of who kids could be with under [former Attorney General] Jeff Sessions—he narrowed the guidelines, and said they could be separated if they were with an adult and the adult could not easily be identified as a legal guardian. 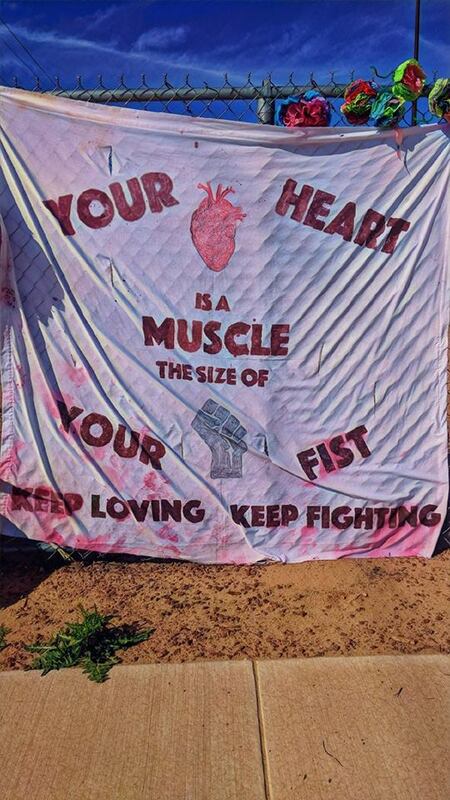 Did you face intimidation from local police or the guards at Tornillo? Yeah, it was kind of a mixed bag, but there were incidents where there was intimidation. For instance, I was on land that was county land, and I’d gotten permission from the county to pursue my project there, but there was a local sheriff at one point who decided that it was federal land. He was mistaken, but they did try to drive me off by claiming that I was on federal land. There were a couple of other times where there I went around the back of the prison there and spoke to some kids, and spoke to some workers, and people from inside made claims that I’d been shouting obscenities at people, things like that, which was just made up. And highway patrol pulled up and asked if I was dead—there were some incidents with the border patrol where they objected to my presence there—but I was able, in each of those cases, to negotiate to continue my presence there. When did you start feeling like people were paying attention to this project? The first thing that happened was I established a Facebook group page called Witness: Tornillo and the membership started growing like crazy. Whatever it was I was doing… posting pictures and writing short essays each day, started to catch on. The other thing that happened was I started getting contacted by the press—somebody from The Forward contacted me and did a piece, and that attracted somebody, a freelance reporter, who sold the story to the Washington Post… then the Associated Press got in contact with me and would ask me what I was seeing on a regular basis… so people started consulting me. The other thing that happened was we started planning for a holiday event at Tornillo. That built some interest. People were showing up more and more, I was pending less of my time alone. People would show up for a few hours a day… not until the end were people actually coming out and staying there. From the middle of November on, people were coming out and spending hours alongside me; coming from different places. Sometimes staying in motels nearby and showing up and spending the day there with me. You were able to communicate, at least on one occasion, with the children that were being held there… what were those conversations like? Well, there’s a good film of that called “The Boys of Tornillo,” cause I had filmmakers with me at that point. I went around back and got to an area that earlier I’d been told I couldn’t go to, but I established that legally, I had the right to walk around there… I went there and there was a soccer field behind the fence, and I went there and talked to the guards and the kids. I asked the kids how they were doing, one of the kids indicated not so well. I asked the kids how long they had been there, and a few kids hollered out to me the lengths of time that they’d been inside, and where they were from, and I was able to tell them that they weren’t alone. I spoke in Spanish to them that they weren’t alone and they seemed to really appreciate that message, that there were people outside working for them. What were the conversations with the people working there like? All the people working there were instructed very very carefully not to talk to me. They were told not to talk to me… it was an interesting place because they were put in a position upon being hired to not communicate anything about their jobs to the outside. For instance, in the non-disclosure agreement, they were not allowed to list this place on their resume, or anything like that or to indicate the address. So it’s a very secretive place. But as far as communicating with me they were told not to talk to me. Every once and a while, I would get to speak with an employer or a subcontractor. I spoke to a number of ex-employees and so got some information about what was going on in the inside from there. When I got there, there were people stopping by that said that it was real nice that I was out there, that they felt the same way I did, that they were gonna free them and that in fact, the place was closing down, that there was not much point in me being there. They called it ‘demobilizing’ because everybody uses military terminology there, but in fact what happened was just the opposite, and a week later some of the employees came out and told me that 800 kids were about to arrive. And that’s when the big buildup happened… it went from about 1000 kids to a peak, right before they announced that It was closing, to a peak of almost 3,ooo kids. So I was watching a huge amount of infrastructure going in as well as kids—new tents, new generators, new shelters, lots of mobile offices. It was quite shocking and distressing to be there, to spend a lot of time by myself to see the build-up of this place. My presence didn’t seem to have any negative impact on its growth. And were there girls there when the camp grew? Oh yeah, at least 500 girls. At this point, Tornillo is not a detention camp anymore, is that correct? It is not. The tents are gone, the mobile offices are gone. It is completely wiped out. It is still a port of entry, and still an ICE processing unit for families who come in on buses during the day, and go out to El Paso, where they’re picked up by private charities and the shelters there. But no, there is no children’s detention center there now, it is completely wiped out. As if it had never been there. And even the ground is graded to hide the fact that there was ever anything there. Do you know what happened to the people that were being kept there? The reports are this, and I believe them (mostly)—about 2500 of the kids—at the time of the closing there were about 2800 kids in there—2500 of them went to their sponsor families. About 300 have not yet established any connection with a sponsor family, or the sponsor family has not yet been vetted. Those 300 probably went to other shelters around the country. They did not go to Homestead, which is the other influx camp in Florida. What happened to those 300, we have to follow and see if we can figure out where they went and what their fate is. The whole closing was predicated on a rule change, which was an HHS rule change that changed from requiring FBI fingerprinting and background checks for all adult members of sponsor family households to chiefly the main sponsor. And that change enabled a lot of people right away to go to their sponsor family. So that change was big. And we still have the problem that the sponsor’s information is still being shared with ICE, and ICE had been using that information to arrest and deport people. Obviously, that created the backlog, with kids coming in and not coming out. And now they’re going out at a higher rate, but they’re will probably be a floor at some point, where we can’t place some of those kids. That’s the next rule change that has to happen—we have to stop sharing that information with ICE. ICE is not concerned with the children’s welfare; ICE is simply concerned with using these kids as bait for undocumented people, in order to arrest and deport them. Can you tell me about working with other activists coming to camp? A bunch came from St. Louis, some people came from Dallas, there were a few groups of people from New Mexico, indigenous groups. They came for the event called “Christmas in Tornillo”. Later they called it “ Christmas in Tornillo: the Occupation”. They set up tents and camped there and spent the early part of their time volunteering at shelters in El Paso, because at the same time as all this was going on, in El Paso there had been a cooperation agreement between ICE and Annunciation House. The agreement was that Annunciation would take people that were released from the camp. And that agreement broke down at the same time as a huge influx of people—not that there were more crossings, but that they were gathering people all along the border, and bringing them to El Paso. And the speculation is that Trump was looking to create an atmosphere of chaos at the border, by breaking down that agreement so people were being released in the streets of El Paso rather than at shelters. Also the increased number created a situation that appeared to be chaos. El Paso defeated them though, because El Paso was up to the challenge. 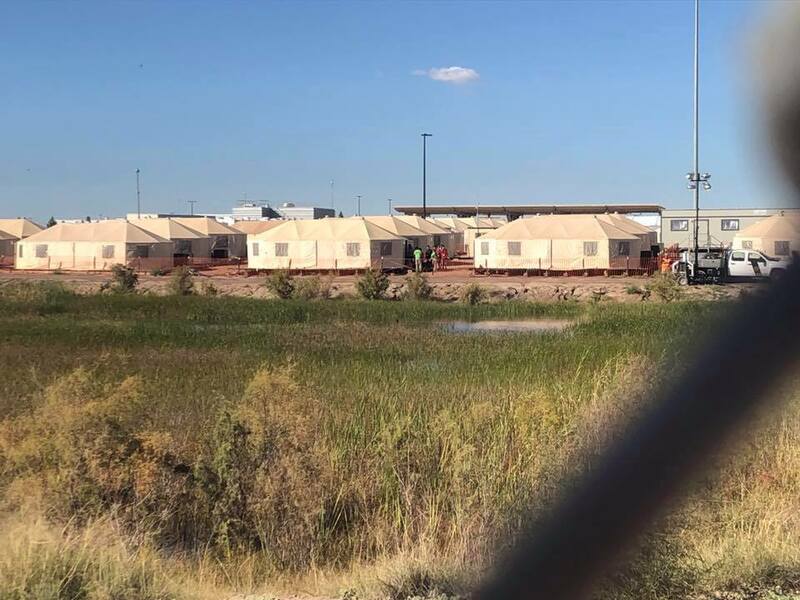 So the people that came spent a lot of time in El Paso working with those people, and they also camped out at Tornillo—set up tents, trailers and things like that. And they were there for Christmas, and some protest action, and some artistic action—they brought lots of flowers, decorations, things like that. There were puppet shows over the fence—to entertain the kids inside. I don’t know how much they were able to see because inside there they led the kids pretty far from anything going on the outside. But there was a group there for a while and then by New Years or so most of those people had taken off, there were a few people left over. Talk to me about privilege, and how that played into your ability to do this action. Oh yeah, well, there’s absolutely no doubt about that. For someone to be able to take three months and not be gainfully employed, to go down there and spend that time, you have to have a certain amount of privilege, and you have to have people supporting you. There’s also questions of how many people with brown skin would have been able to get away with doing what I was doing. Often, I would take walks near the border wall, and often I would go with people, people from El Paso. Lots of brown people from El Paso would walk with me and the border patrol would come up and give them a hard time while basically giving me a pass. There’s no doubt that I was in a privileged position there. That as an older, white man, I was not treated as harshly as I might have been if I were brown or black. And again, I was in a position to be there for three months… how many people can afford that? On the other hand, my status there as a Jewish man outside of a concentration camp, kind of firmly planted me on the side of oppressed minorities. I certainly felt that way. And I believe that the people from El Paso who supported me and spent a lot of time with me felt the same way about it—felt good being aligned with me. At the same time, we all acknowledged the differences and the advantages that I had in being able to do it. I think people with privilege like that are obliged to use it, and that’s what I tried to do. Prior to your trips to Texas, did you have a lot of experience in activism? I don’t know about that. I marched in a lot of marches. I certainly was ever engaged in an action like this, where I submerged myself for 24 hours a day in an action. This was certainly the most I’d ever done. People asked me ‘have you ever done anything like that before?’ and the answer is of course ‘no,’ I don’t know too many people who have done this. It’s an odd thing to do. It was just an idea that I came up with, and I rolled with it. I grew up—when I was in high school, the Vietnam war and the draft were big issues, and I come from a left-leaning background—my parents were teacher unionists. I have been peripherally involved in progressive movements. This one struck me differently, I guess, I don’t know why that was. Watching what was going on on TV, and finding myself, like all people do, yelling at the TV set, and I decided to get up and go down there instead. Do you have a message for people who are thinking to themselves ‘I want to be a part of making change, but I don’t know how to do that’? You know, people asked me, when I was don there, ‘what can I do to help?’ And they asked if they could send money, can they do this, can they do that, and you know, money helps but the real answer is using your body. Going there and being present. I think if there’s any lesson to this at all, the lesson is that going there and lending your presence—your eyes, your body to these things, is what makes a difference. In a situation like this, in a world like this, with all these things that are going on, going and actually seeing what’s happening at a place, and reporting on that is a very subversive act. The whole idea of witnessing was to go see, and tell. And if anyone wants to help with that, then go and see and tell. There are plenty of places to do that… there’s Homestead in Florida, which is another influx center where a camp gets away with not following lots of regs and is an example of the kind of imprisonment and concentration camp that was Tornillo. It’s outside of Miami, and it deserves attention. And after we’re done with that, we’ve got 10,000 kids in this status, this ‘unaccompanied status’ who are being kept from there families. Who are waiting here in the states. What do you do? Go! A stand there, hold up a sign. Be loud! Be present. Ask for attention. And when you got the attention, use it. What have you been doing since you left Texas? I’ve been talking to people like yourself, and I’ve been trying to figure out, with some people who are continuing to follow this issue, what the most effective next moves are. There are lots of people who are trying to lobby in DC for a bill called “Shut Down Children Prison Camps” sponsored by Jeff Merkley (D-OR) and U.S. House Representative Judy Chu (D-CA-27) . There’s gonna be actions along those lines, and trying to figure out what the best strategy is for continuing the effort to get these children released. And that’s just the beginning. Once they’re here, they face asylum hearings and they’re gonna need lots of legal aid and support to basically delay the asylum hearings until we have a government with a decent asylum policy, that doesn’t deny it to nine out of ten kids, and nine out of ten adults, for that matter. We have a crisis in this country. It’s not an immigration crisis, it’s a crisis of hate. These people are coming because they need our help, and we’re being told by our government that we have to reject them. We don’t. They’re not a lot of people, it’s not a lot to handle. It’s easy to handle. All we have to do is welcome them. Jesse Lu Baum is a queer writer and cartoonist originally from Brooklyn, New York. 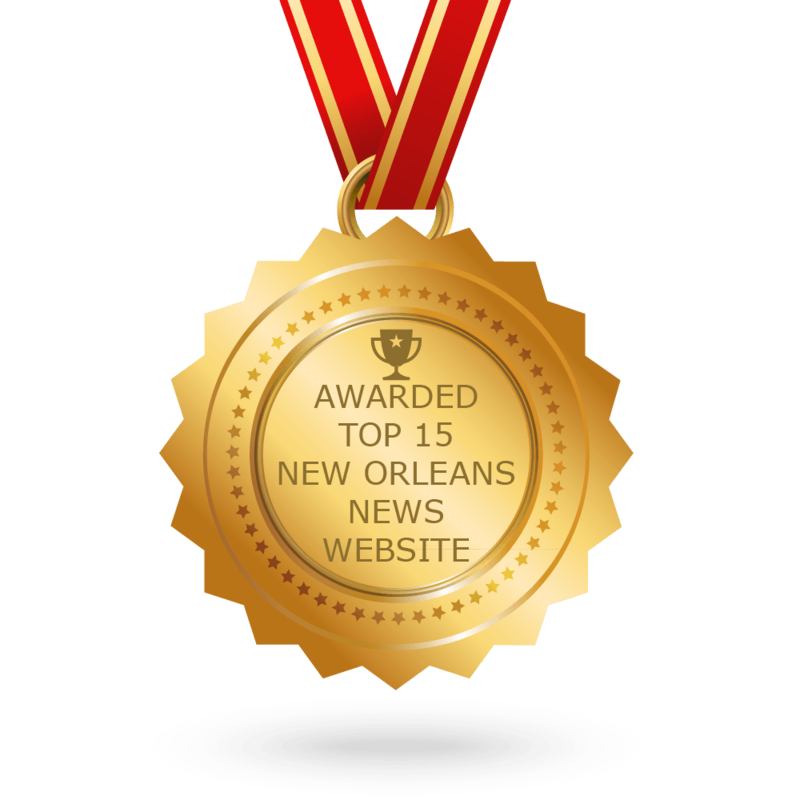 Her writing has been featured in publications such as Medium.com, The Jewish Daily Forward, The Mid-City Messenger and Preservation in Print. Aside from writing, she has also worked as a non-profit home repair person, a theater bartender, and a research assistant.